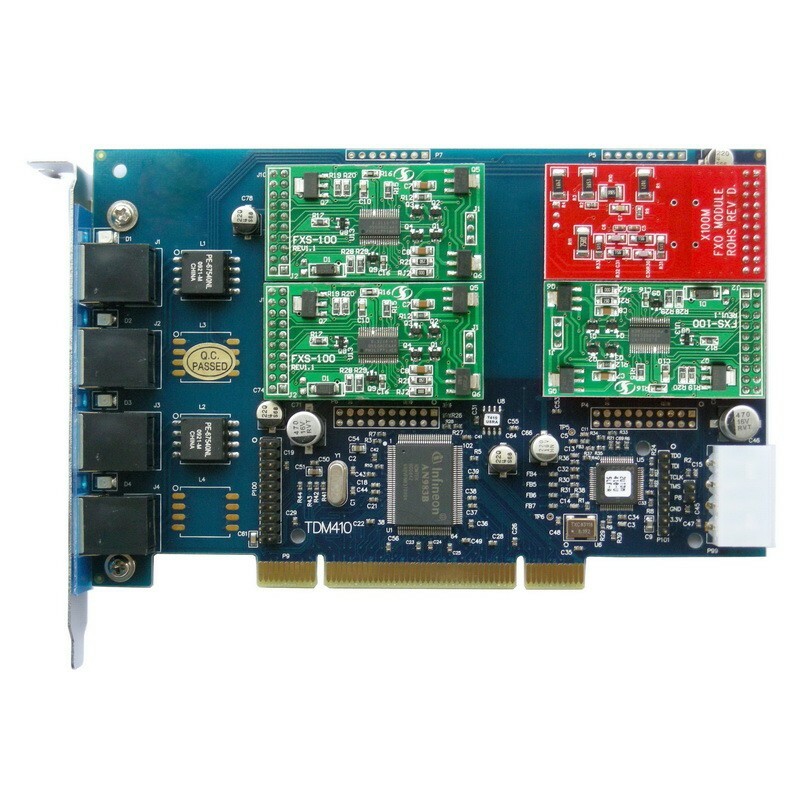 The TDM410P is a half-length PCI 2.2-compliant card that supports FXS and FXO station interfaces for connecting analog telephones and analog POTS lines through a PC. Its a 4 Port PCI Card for Asterisk, TrixBox and other Open Source Telephony projects with 4 included FXO modules. These cards are fully compatible with all analog Digium and other similar analog cards and modules with no changes to the drivers. FXO modules are used to plug existing analog telephone lines into your phone system. With TDM410P hardware, Open Source Asterisk PBX software, and a standard PC, users can create a Small Office Home Office (SOHO) telephony environment which includes all the sophisticated features of a high-end PBX/Voicemail platform. 6. The TDM400P can work with 3.3V and 5V PCI slot. 7. Support GPL Software driver used with zaptel and Dahdi.